Manila formally played host to the two-day Association of Southeast Asian Nations (ASEAN) Summit and related summits last November 13-14, 2017 as part of the annual gathering of regional and global world leaders. Concurrently ASEAN under the Philippines’ chairmanship celebrates its golden anniversary as it aspires or struggles to achieve cohesion and unity in diversity in spite of implied syndetic secretariat function, fostered by a culturally-sensitive principle of ASEAN Way, cultivating a collegial spirit as core existence in one of the oldest regional organizations in the world. The uniqueness of the ASEAN Way collectively streamlined from the ethos of the five foreign ministers capped from their habitus in playing golf to becoming the founding fathers, extremely emphasizes the iota of national sovereignty and the commitment to non-intervention into the affairs of the member-countries. Glorifying an historical achievement at fifty years old, the Philippines takes the center stage of chairing the ASEAN this year, setting the agenda for the fourth time as the host in five decades. Five decades after the founding of ASEAN, three decades after the ASEAN summit in Manila, and a decade after the adoption of the ASEAN Charter, did ASEAN take a lead as a catalyst of change to progress or regress to survive a vision of prosperity and stability in Southeast Asia? The absence of armed conflict among member-states in the regional bloc perhaps affirms its first key success; this feat could be its long-standing contribution to the region and the world despite the intermittent establishments of formidable three pillars in political/security, economic, and socio-cultural to create holistic ASEAN Community. The ‘ASEAN Way’ as a traditional instrument to run the organization is a way too slow that aims to accelerate a certain velocity in making decisions and conventions. A long-held principle based on consultation and consensus-based decision while establishing a more concrete, systematic and productive mechanism for addressing conflicts and security threats in the region has not been fully modified and reinvented. ASEAN Way as a bedrock emphasizes the importance of having one common language for all ASEAN member-states with unified perception of threat in political, social and economic security outlook, as well as the importance of social view on democracy and human rights. The establishment for whose commission was recommended during the drafting of the ASEAN Vision 2025. The fallacy on becoming a stumbling block presumes consensus on the peaceful resolution of disputes, respect for international laws, and non-use of force. The “geo-economic” capitalism subsumed in the trading system within the region deconstructs few myths about the ASEAN Way that symbolizes its being; rather, the regional organization’s fifty years of existence can be reduced to a debutant’s party that has less capacity as a dispute-solving organization. This embodies ASEAN’s failure as a model for regional cooperation in which European Union (EU) has sophisticatedly led for decades. Hence it must be deemed that the ‘ASEAN Way’ is the heart of ASEAN itself. The view that ASEAN can either become bedrock or a stumbling block can be leaned to the belief that the organization should be used as a platform to prepare for the future. The purpose of ASEAN is for posterity delivering economic wealth for the region in the thrust of seamless connectivity as One ASEAN Community; having beauty among diversity, and the importance of the people-to-people agenda by promoting the quality of life of the people in the region as it goes beyond its three pillars of community. The effectiveness of community-building in achieving the common goal of “One ASEAN, One Community” puts the Philippines and the entire region in a gargantuan task of “Partnering for Change, Engaging the World”. Furthermore by strengthening ASEAN, this can be a continuing and lingering desire among many decision makers in the region. There is a greater recognition that the group’s regional body and its institutions need to be empowered in line with the ASEAN Community. 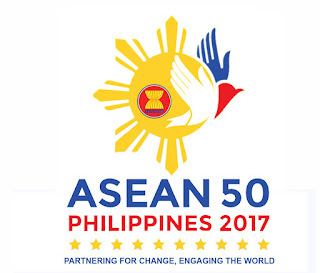 ASEAN’s progressive atmosphere has maintained peace by socializing its member-states into principles and norms of non-interference in internal affairs, respect for sovereignty, and renunciation of threat and use of force all encapsulated in its ‘ASEAN Way” as enshrined in the 1976 Treaty of Amity and Cooperation. Engagement with the civilized world has been the organization’s hallmark with its dialogue partnership system that goes beyond the Dialogue Partners. But ASEAN should utilize conscientiously its external relations to socialize other countries to the same norms and principles toward an inclusive, open, and rules-based region. Quantity of partnerships created by ASEAN should not become the success indicator; rather it should put premium on how these partnerships contribute to the regional community-building. All in all, the preservation of peace for the past five decades has been ASEAN’s greatest achievement to date. On the other hand, regressive acts will continuously proliferate if and all ASEAN member-states subside to maintain peace efforts in the region on its centennial. The leniency in addressing gaps pronounced in the three ASEAN’s community-building pillars will alienate the promises of the future and dynamism of the next generations in the region. Building consensus and socialization through regional integration along the process of globalization should not lose a momentum in the ASEAN. In a preferable view, economic inequity, political disenfranchisement, and people-to-people disengagement should be addressed properly consistent with the strategic aims of the ASEAN founding fathers.